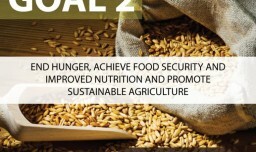 The U.N. Food and Agriculture Organization’s (FAO) Regional Conference for Europe concluded on May 6, as members called for better nutrition, food security and more sustainable agriculture practices in pursuit of the Sustainable Development Goals (SDGs) over the next two years in Europe and Central Asia. Improved nutrition and the promotion of pulses as food crops and as a dietary choice were underscored during the regional conference. Meanwhile, policies and other forms of support for family-run farms, strengthening of the agri-food trade, combating illegal fishing and support to women and youth were also emphasized within the event. FAO members discussed the “Save and Grow” or ecosystem-based agriculture, which is a new paradigm being advanced by the organization. Moreover, FAO has promoted an approach called “climate-smart agriculture” emphasizing productivity, adaptation and reducing greenhouse gas emissions.